you are gearing up for a fly fishing trip in Montana, it is important to be prepared with the right fly fishing equipment; the wrong type of gear may lead you back to the fly fishing lodge frustrated and angry. Next time you go Smith River fly fishing, be sure to inspect your equipment ahead of time. Keep reading if you are interested in learning about how to choose your fly fishing reels. People tend to default towards the cheaper options for many different reasons; they may be low on funds, they may view the quality of the equipment as unimportant, or they might simply be looking in the wrong places. 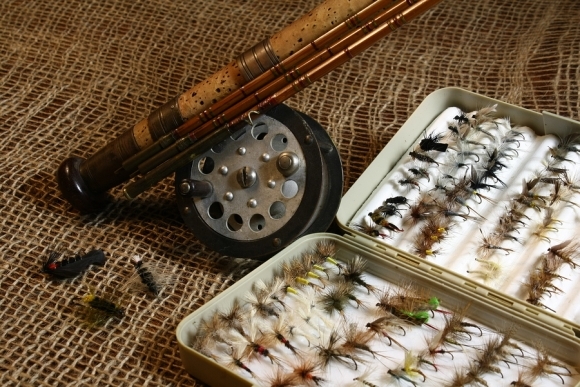 When it comes to fly fishing gear, the quality of your fish may very well be linked to the quality of your equipment. Be sure to find a reel that can handle the fly line weight commanded by the rod. If you are looking to catch tougher, heavier fish, you will likely need the high quality drag system offered by a more expensive reel. Fortunately there are countless types of fly fishing reels, so choose one that is reasonably priced and appropriately sized for your next fly fishing vacation.